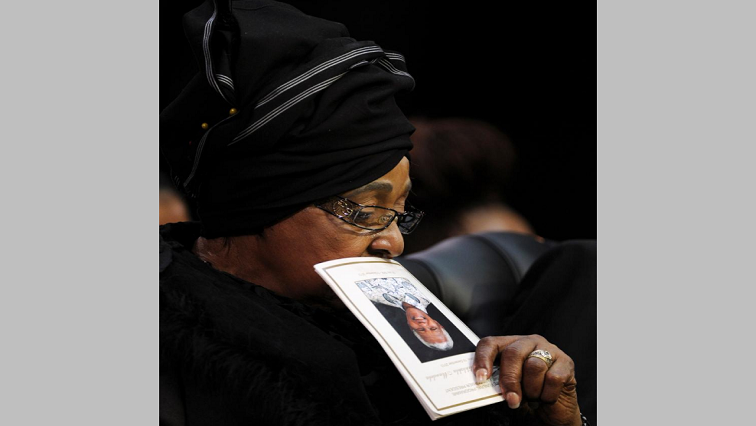 12 days of national mourning declared for Mama Winnie - SABC News - Breaking news, special reports, world, business, sport coverage of all South African current events. Africa's news leader. Mam’ Nomzamo Winnie Madikizela-Mandela died on Monday. All flags across the country and at all South African missions abroad are flying at half-mast until the evening of struggle icon Winnie Madikizela Mandela’s funeral. 12 days of national mourning have been declared. President Cyril Ramaphosa says Madikizela Mandela’s special official funeral will take place at the Orlando Stadium in Soweto on Saturday April the 14th. The church service will take place at the Regina Mundi church while the funeral will take place at Fourways, north of Johannesburg. Presidential spokesperson Khusela Diko says President Ramaphosa has made it clear that Winnie Madikizela-Mandela must be afforded the highest honour for her contribution to the liberation. “President continues to send his condolences to her family and wishes them strength during this difficult time of loss,” says Diko.